While joining the likes of Sony and Oppo in "reimaging the future" with unfinished 5G-enabled prototype phones at the MWC 2019 trade show in Barcelona, OnePlus did not offer us a glimpse at the company's next "conventional" flagship model. That's a little disappointing, considering a rumor from a few days ago, but not entirely surprising, as the 6T is still a measly four months old. Interestingly, CEO Pete Lau did reveal a (semi-) important detail about the upcoming OnePlus 7 in a short interview with CNET. As it turns out, the increasingly ambitious (and popular) smartphone brand remains uninterested in adopting wireless charging technology. That's something most high-end Android devices from other companies have been offering for several years now, although the functionality is arguably far from perfect. But even Apple seems to understand user convenience beats speed sometimes, integrating the Qi standard, aka inductive or wireless charging, into the iPhone X, 8, and 8 Plus and then the XS, XS Max, and XR. 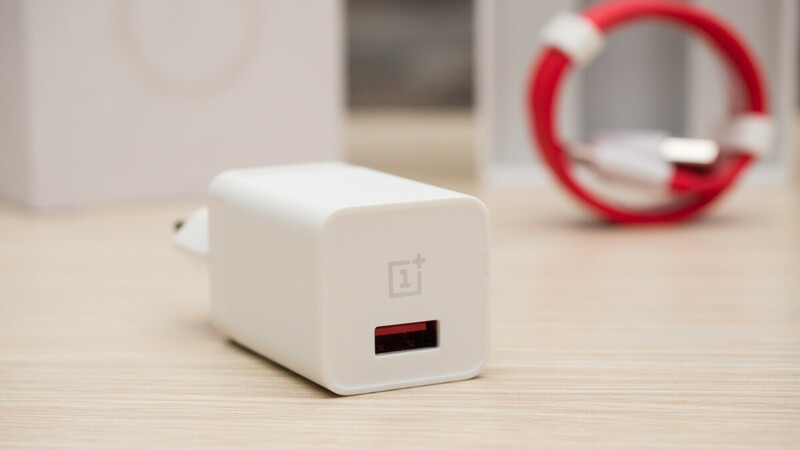 For its part, OnePlus will continue to rely exclusively on a proprietary wired charging tech that's objectively among the best such solutions available today. Known simply as OnePlus Fast Charge after controversies surrounding the Dash brand, the feature allowed the OnePlus 6T to go from 0 to 100 percent battery capacity in under 90 minutes in our in-depth review, even though the 6.4-inch handset packs a relatively hefty 3,700 mAh juicer. You can't argue with Pete Lau's assessment that "wireless charging is far inferior" right now, but at the same time, smartphone buyers like to have options for different usage and charging scenarios. It's unclear when the wireless option will be added to OnePlus devices, but for what it's worth, the company is working on "accelerating the delivery of wireless power" without causing phones to heat up and explode. Until that happens, it sounds like you have one less reason to be excited about the OnePlus 7. Then again, assuming that recently leaked photo was legit, there's plenty to look forward to. I agree. Wireless charging is not high on my list of compelling reasons to buy a phone. I have used wireless charging as my primary method of charging on every phone I've had for the past 7 years. I've never experienced a single issue with my batteries. My LG V30 still gets 2 days between charges most of the time with 3-5 hours screen time. No battery degradation in 18 months. In fact, it is the fast charge which is more likely to damage batteries than the relatively slow wireless charging. When did PhoneArena start using Forbes like clickbait titles? why have a glass back without it? Because idiot bloggers convinced people that glass backs fit some undefined "premium" qualification and suckers bought into it. I believe the official reason they offered was something along the lines of better reception. Although I haven't had a phone without wireless charging since 2012, I can live without it. I do hate the dangling charging cables which always fall to the floor, but I can live with it I suppose (first world problems). I have high hopes for the OnePlus 7. I love wireless charging every phone should have it.